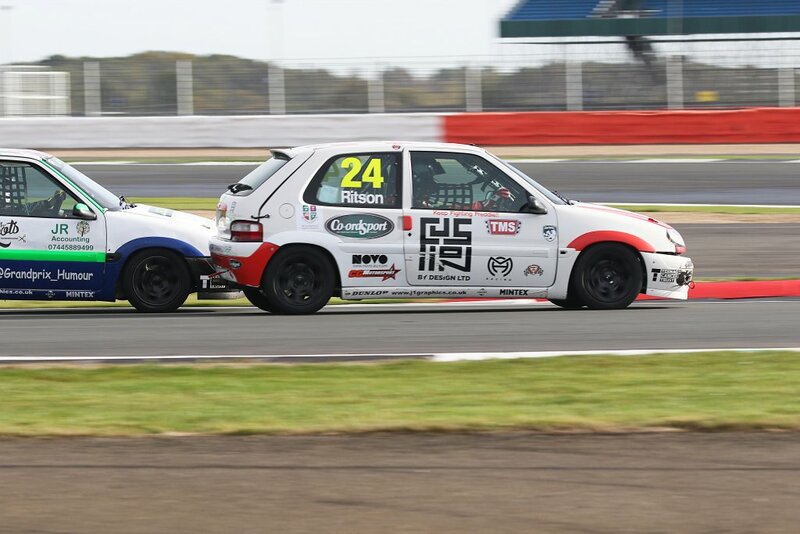 Teenage racing driver Moh Ritson added to his portfolio of successes last weekend, when he scored top-ten finishes in both of Sunday’s BARC Junior Saloon Car Championship races at Silverstone. The meeting also provided the 16-year old from Leeds with invaluable experience, as he masterfully dealt with a range of weather conditions and intense activity on the track. Only a week after the previous two rounds of the championship for 14-17 year old drivers in identical specification Citroen Saxo VTRs at Donington, Moh and the Tockworth Motorsport team were back in action, this time for a double-header and rounds 15 & 16 on the International configuration circuit at the British Grand Prix venue. Friday was spent testing in dry conditions. But when it came to Saturday the heavens opened – so much so that the morning’s official practice was abandoned due to a number of incidents on the waterlogged track. Even so, Moh managed to get a few laps under his belt and skillfully kept his car on the asphalt, even when it started aquaplaning on the straights! With little let up in the conditions, organisers advised the youthful drivers that the mandatory three laps of qualifying would take place behind the safety car. Consequently, grid positions for the first race were allocated in accordance with current championship positions, which meant Moh lined up in 11th place. Fortunately for everyone Sunday dawned dry, although drivers still found the track surface slippery off-line due to the previous day’s conditions. However, that didn’t stop Moh from making one of his customary impressive starts and, when the lights went out, he scythed through the field and up to sixth place by the time cars exited the first corner. But as he turned into the second there was some contact, which spun him around to face the cars he had just overtaken and were now coming towards him! Thankfully they all missed Moh’s rotated Citroen. He then quickly collected his thoughts and set off in pursuit of the pack. It didn’t take many laps before he caught and passed a series of cars and whilst his progress was helped as others made errors, Moh didn’t falter and consequently, his comeback drive was rewarded with eighth place. Indeed, without the first lap incident he would have almost certainly finished higher. Albeit minor, the team worked hard to repair the damage before the start of the second race in the afternoon. As he headed out of the Silverstone Wing pit lane to line up eighth on the grid in respect of his first race result, Moh noticed a difference in grip levels due to the cooling track surface. As they did for the start of the second race at Donington, it appeared that Moh’s fellow competitors had latched onto his getaway prowess and the whole JSCC field left the start in unison. With the more experienced drivers who had retired from the previous race starting from the back of the grid, Moh did exceptionally well to hold on to 10th place and in doing so, record two top-ten finishes from the day’s two races. “What a weekend! I’ve learnt something new at every meeting this year and this one at Silverstone was no exception”, said Moh at the end of the event. “The conditions on Saturday were incredible. I don’t think even the most experienced of competitors had seen anything like that. 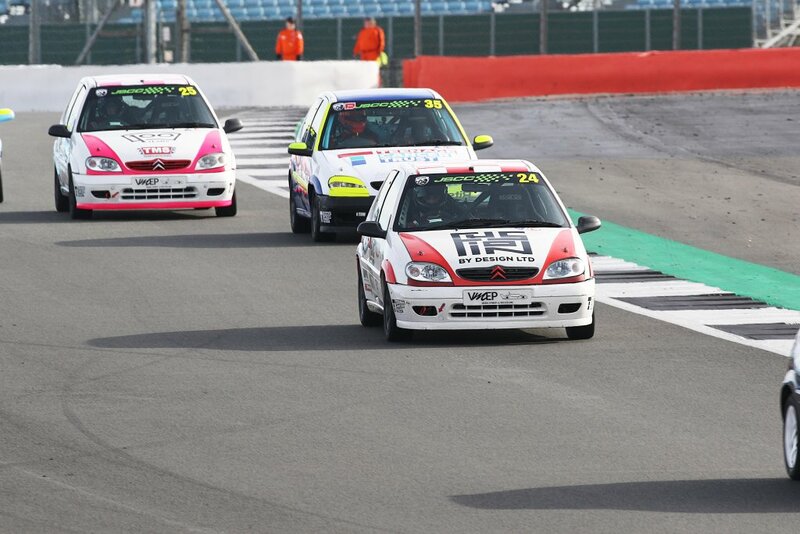 Then to get spun round in the first race and manage to avoid everyone was another new experience. I must admit that I enjoyed catching up the field and overtaking, even though I did push the limits with some of the raised kerbs – so much so, I had a few two-wheel moments! 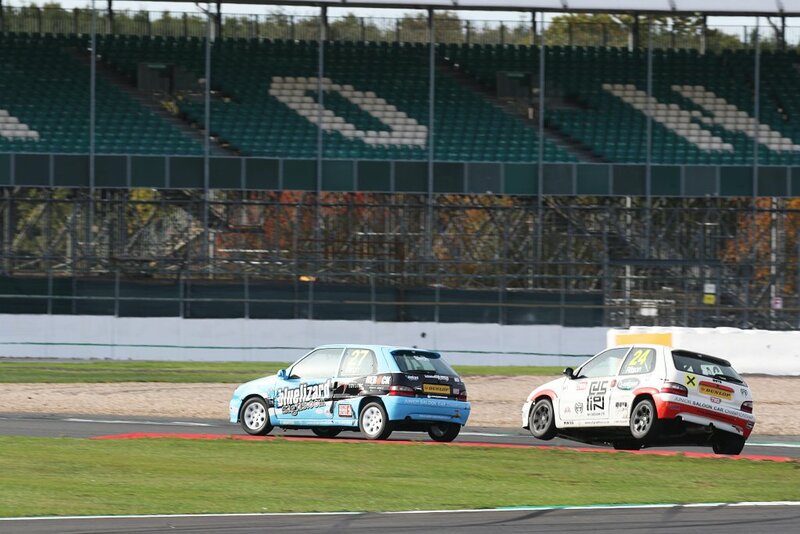 Moh now looks forward to the season finale, which takes place at Oulton Park on Saturday 20th October.